a way of being. (Quran says) "Indeed with God the only true religion is self-surrender". if it is a set of irrational dogmas - its not religion in the sight of God. I would like to introduce two interviews of Kabir Helminksi that came to my way. The first Interview was done around 2009 by Rob Gabriel of the Garrison Institute. In this about twenty five minute long interview, Kabir Helminski touches some really important aspect of Sufi Tradition, place of doctrine or simple teachings of the purpose of human being, why Orthopraxy (the religious practices of Islam) is there and their importance, the universality of a Way of Divine surrender and our relationship with the Divine. He offers insight into the role of doctrine in Sufism as a useful means of finding coherence among Muslims of different traditions. For Helminski, contemplative practice stills the mind and move us to a transformative perception of divine reality. 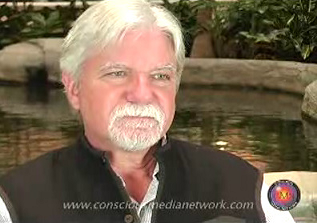 The second one is a longer 45 minute interview, conducted by Conscious Media Network at the Science and Non-Duality Conference. Conducted in February 2010, titled as Heart of Islam, in this interview Shaikh Kabir discusses the principles, methods, history, and current situation of Sufism. I hope that these two interviews will speak to your heart and answer some of the questions regarding Sufism, the Mystical Path of Islam and its offerings to humanity. Kabir Helminski is a founder and director of the Threshold Society as well as Guide of the Mevlevi Sufi Order in America. Kabir Helminski has developed programs that provide a structure for practice and study within Sufism and spiritual psychology. He has translated many volumes of Sufi literature, including many works of Rumi. His books have been translated into Spanish, Italian, Dutch, German, Turkish, Russian, and Indonesian. He has been working within the Mevlevi tradition of Sufism for about thirty years and is the author/translator of several books of Sufi poetry. Kabir began the study of Sufism with Suleyman Hayati of Konya and was officially recognized as a Shaikh of the Mevlevi Order of Sufism in 1990, by the late Celaleddin Celebi, Head of the Mevlevi Order. From 1980 until 1999 he was the director of Threshold Books, one of the foremost publishers of Sufi literature. Between 1994 and 2000 he toured with the whirling dervishes of Turkey, bringing the spiritual culture of the Mevlevis to more than 100,000 people. He has an M.A. in transpersonal studies from the Institute of Transpersonal Studies and an honorary Ph.D.in literature from Selçuk University, Konya, Turkey.